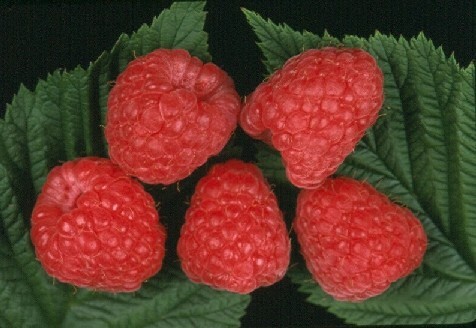 Augusta effectively bridges the fruiting gap between Leo and Autumn Bliss, cropping very late in the summer season to provide fruits for August desserts. The fruits are dark red, round, medium to large and suitable for all purposes. Easy to pick as the fruits are firm and dry and do not squash in damp weather. You will find the excellent flavour very refreshing. Augusta has given exceptionally heavy crops in trials and even outcropped Glen Moy in a four year ministry trial in Scotland with more fruit produced per individual cane. Cane growth is quite vigorous and not overcrowded. Resistant to Amphophora Idaea the main vector virus.